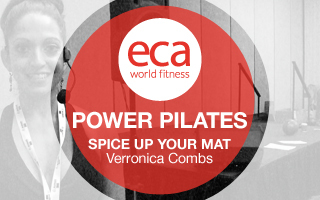 Come add some "spice" to your mat workout! This class will follow and Intermediate/Advanced level adding in Magic Circle and Hand Weights. Add some resistance and challenge your Powerhouse to the "edge!" Learn how to infuse intervals into your Vbarre® format to amp up the calorie burn. This workshop will take you through the Vbarre® class format and show you where to add intervals effectively to keep your class exciting! 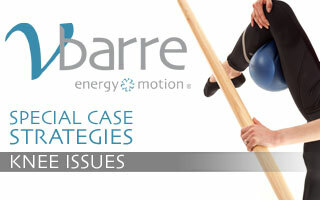 In this workshop we will highlight the Dynamic Movement Training Principle that is central to the Vbarre Method. Let's define the principles and exercise goals that make Vbarre not only a great workout, but also functional for the body. We will explore the total body benefits of targeting multiple muscle groups with one exercise as well as Vbarre's "functional fitness" qualities. 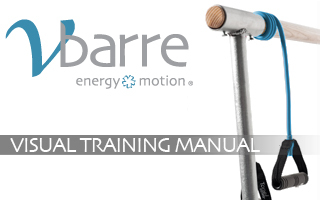 Learn how to safely introduce the Vbarre® workout to the novice student. Using a barre, band, ball, weights, glide board and mat make Vbarre® unique and fun, but these tools can also make it tricky for the new client. Keep the integrity of Vbarre®'s signature principles of dynamic movement in a flowing format, with a Basics Class to keep the workout safe and effective for the beginner. 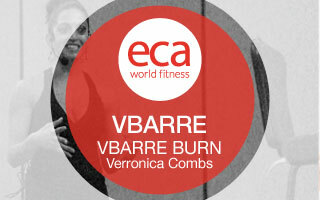 This workshop outlines a progression of the Vbarre® workout with the original choreography in an 6-week session. We will take a look at progressing the exercises from week to week as well as focusing on a particular theme for each class that will add variety and build upon a foundation. This workshop focuses on the Art of Teaching with an in depth look at how to effectively cue, spot and correct your Vbarre® clients. Learn strategies to take you from a good teacher to a great instructor! One simple way to make your class different is to change the rhythm and tempos of the exercises. This workshop will show how to use these excellent tools without needing to add or change choreography. 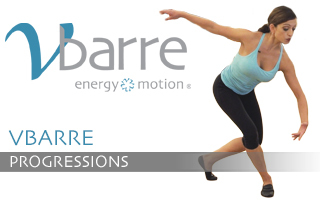 Plies, lunges, squats, and gliding motions are all major movements in Vbarre®. This workshop will outline some general guidelines and provide helpful modifications to follow that will allow clients with knee issues to participate safely in your class. In this workshop, we will breakdown and review the Vbarre progressions that are designed within the standard format as well as explore ideas to help you create new programming for your classes. Vbarre® BLEND is based on fluid shifts between Vbarre® and Pilates mat exercises, resulting in a balanced workout. Vbarre® BOOTCAMP is a dance inspired workout that fuses ballet, Pilates, and resistance training. 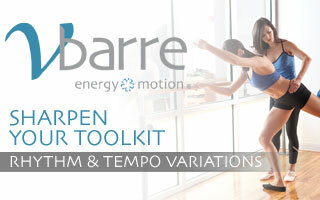 Vbarre® BURN is a dance inspired workout that amps up the cardio by utilizing the glide board. The Vbarre® method believes a creative, integrated approach to fitness will deliver unparalleled results for the participant. 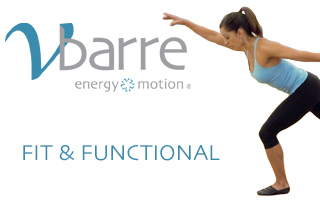 Vbarre® is a dance inspired modality that fuses dynamic movements with motivating music.